Description Stable quality four sided planer machine with lower price, 6~40m/min feed frequency control thickness planer HJD-M521A is a kind of planer products for solid wood machinery . Mainly used for processing wood square, board, adornment wood line, top and down sides for planing light treatment. 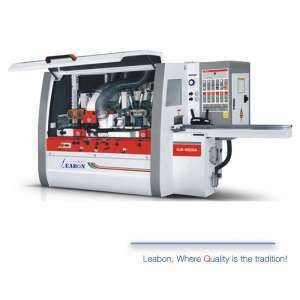 LEABON Machinery is specialized in the manufacture and R&D for woodworking machines, at the same time your customized requirements are welcome.